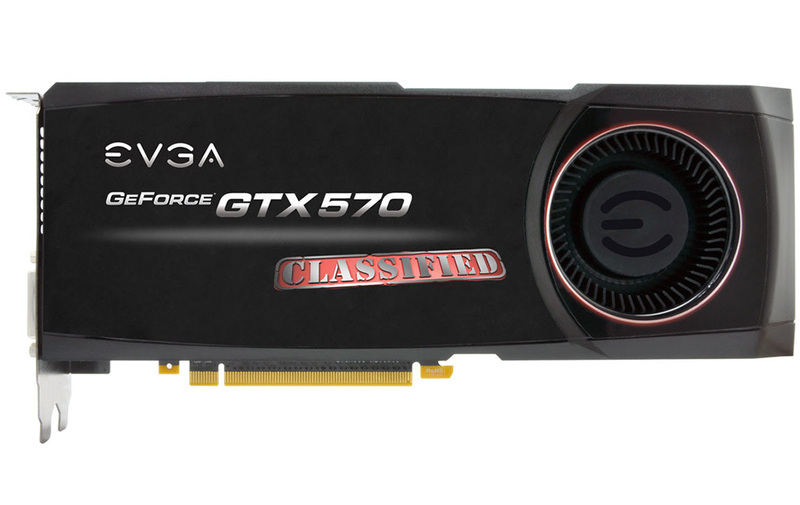 Even as the GeForce GTX 580 Classified is in the oven at EVGA, the company released to market the GTX 570 Classified. 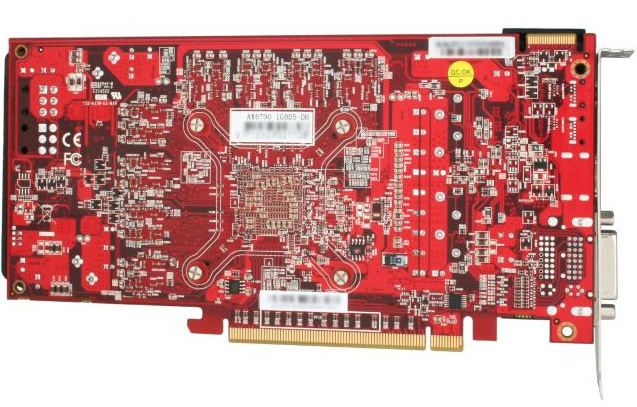 This card features an entirely different design to the GTX 580 Classified. It is roughly as big as the reference design, with a cooler that resembles it. 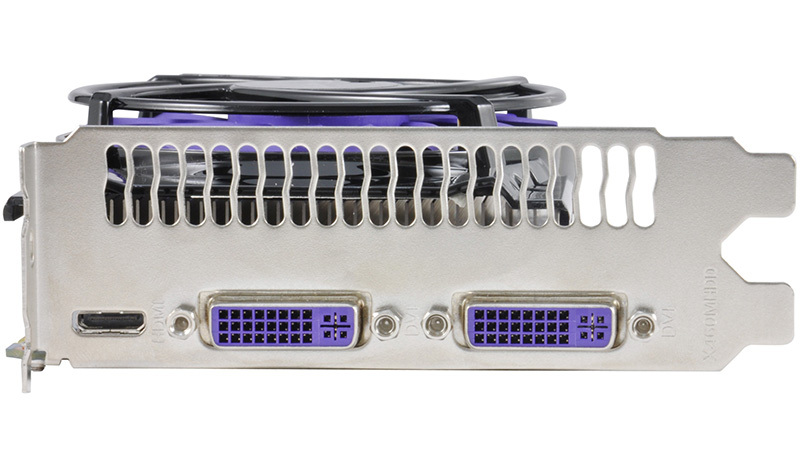 It draws power from an 8-pin and a 6-pin power connector, unlike the reference design drawing it from two 6-pin ones, leading us to believe that the design idea here is to give GTX 570 a VRM as strong as the one on the reference GTX 580, allowing good overclocking. The card features 1280 MB of memory over a 320-bit wide GDDR5 interface, clocked at 975 MHz (3.90 GHz effective), churning out 156 GB/s of bandwidth. The core is clocked at 822 MHz, and the 480 CUDA cores available are at 1644 MHz. These, against reference speeds of 732/1464 MHz (core/CUDA cores). The display connectivity is different from the one on the reference design, it features two DVI connectors, and one each of DisplayPort and HDMI (both full-sized). 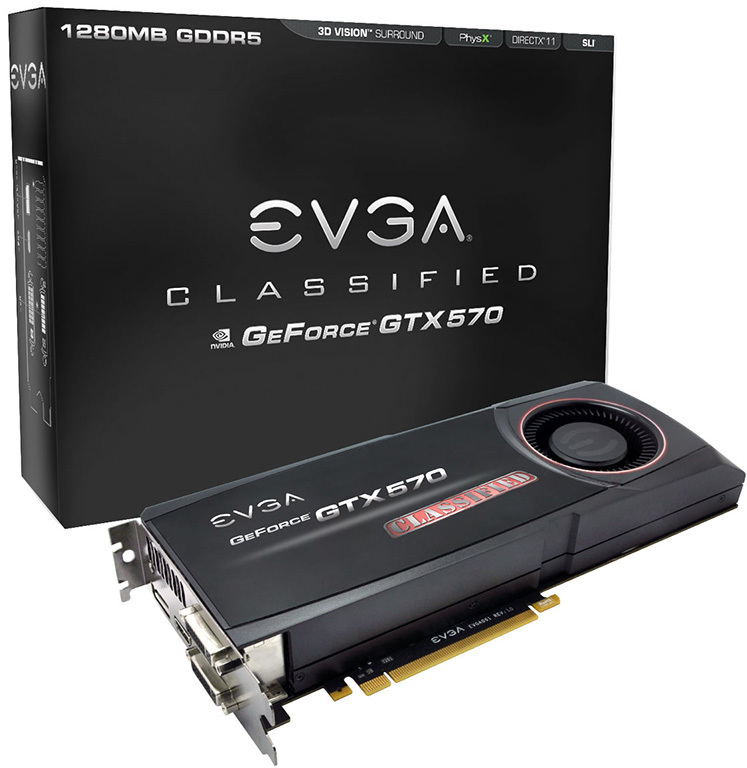 Available on EVGA's online store, the GTX 570 Classified is priced at US $359.99. 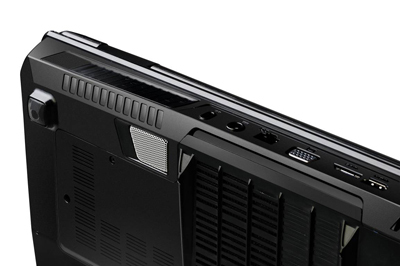 Gigabyte is constantly revising designs of its already-launched graphics cards. 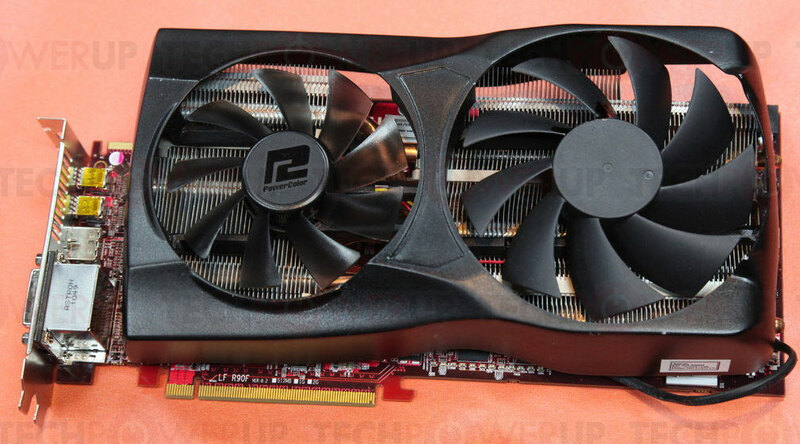 This time around, it's the Radeon HD 6970 WindForce 3X (GV-R697UD-2GD). This custom design graphics card sticks to AMD's reference clock speeds, but creates some overclocking headroom with its WindForce 3X cooler, and a strong VRM on the PCB. The new revision 2.0 packs an NEC/Tokin Proadlizer, which is a high-grade multiphase capacitor, that helps in conditioning the power to the GPU. Apart from this small yet important change, everything else is the same. The PCB uses Gigabyte's Ultra Durable VGA+ construction, which includes 2 oz copper PCB, low RDS (on) MOSFETs, ferrite core chokes, hand-picked tier-1 GDDR5 memory chips by Samsung or Hynix, hand-picked GPU, and clock speeds of 880 MHz core and 5.50 GHz GDDR5 effective memory. There is 2 GB of memory. Expect the new revision to cost roughly the same as the original. 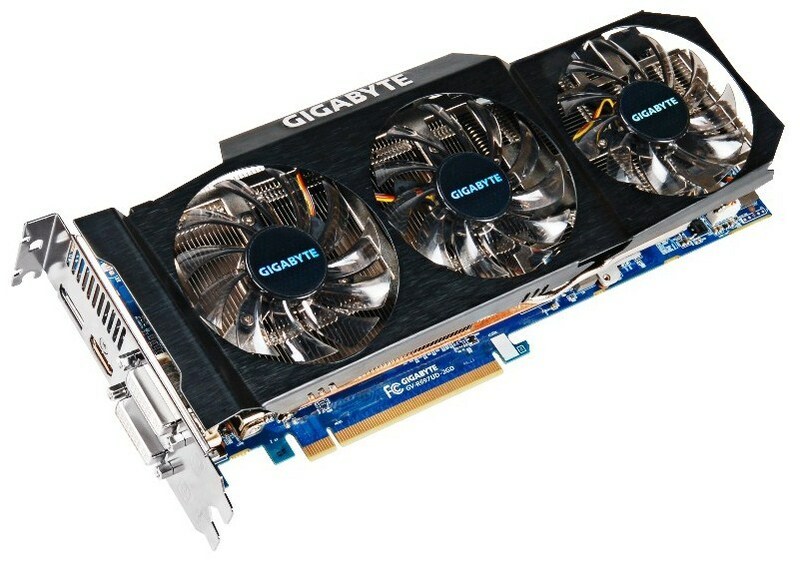 Gigabyte released a new revision of its GeForce GTX 560 Ti SuperOverclock graphics card. The new revision features a better (quieter) cooler, it retains the clock speeds of the original GTX 560 Ti SOC. 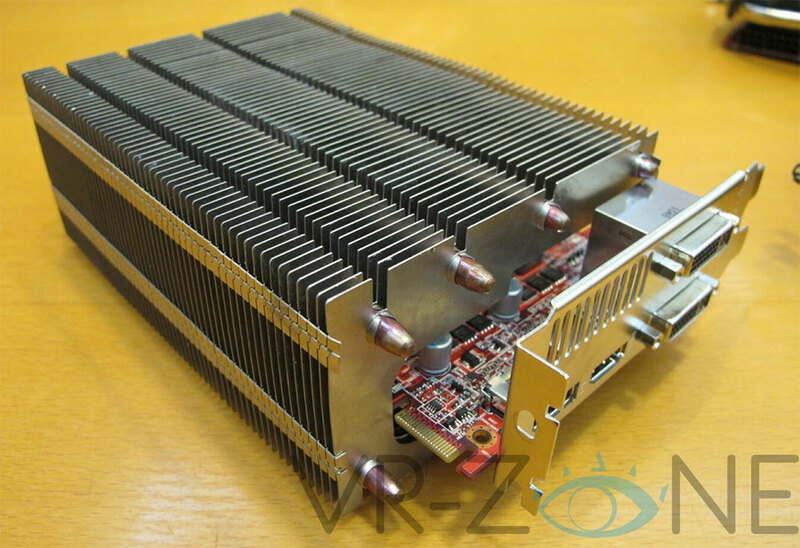 The new cooler uses a similar, if not identical heatsink as the one in the original's cooler, with a dense aluminum fin array to which heat is conveyed by copper heat pipes. Unlike the original, the new cooler uses bigger inclined fans that deliver the same air flow at lower speeds, ending up being quieter. 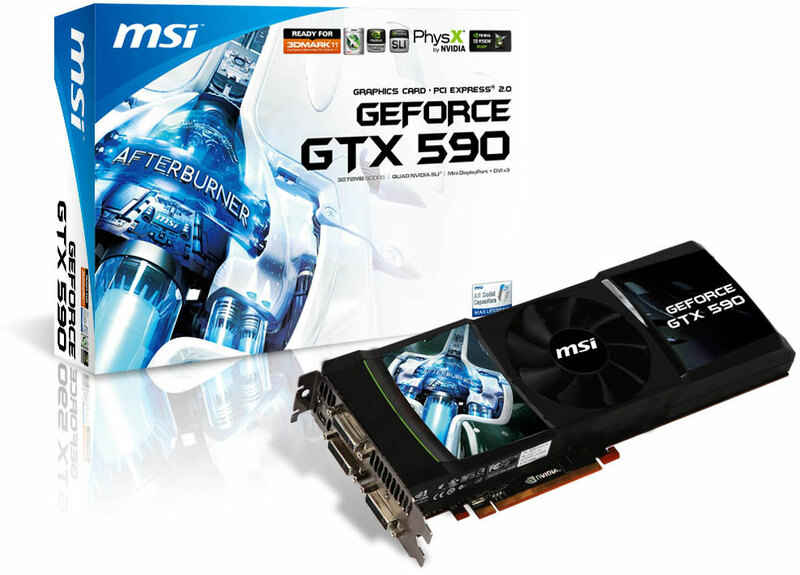 That aside, the Gigabyte GTX 560 Ti SuperOverclock features clock speeds of 950 MHz core, 1900 MHz CUDA cores, and 1002 MHz (4008 MHz effective) GDDR5 memory. There is 1 GB of memory spread over a 256-bit wide memory interface, churning out roughly 128 GB/s of memory bandwidth. Gigabyte's in-house PCB uses Ultra Durable VGA+ construction, with 2 oz copper layer board, power-conditioning NEC Tokin Proadlizer, hand-picked GPU and memory chips, Japanese solid-state capacitors, ferrite core choke, and low RDS (on) MOSFETs. 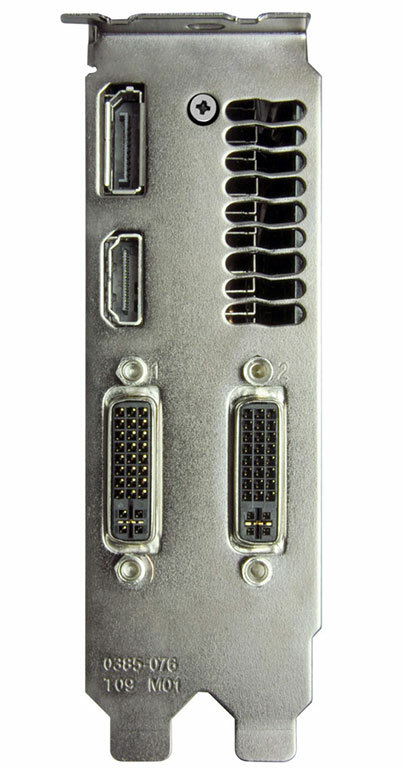 The card takes power from two 6-pin power connectors, display outputs include two DVI and one mini-HDMI. Expect the new revision to carry a similar price tag as the original, around US $260. Years ago, AMD's integrated graphics chipsets offered users the ability to pair integrated graphics processors with entry-level discrete graphics cards to work in tandem, and increased performance ideally by 50%, this technology was called Hybrid CrossFire. With the latest AMD A-Series APUs, AMD is packing much more powerful GPU components, and in the process, giving users the ability to pair the GPU component with a discrete graphics card. 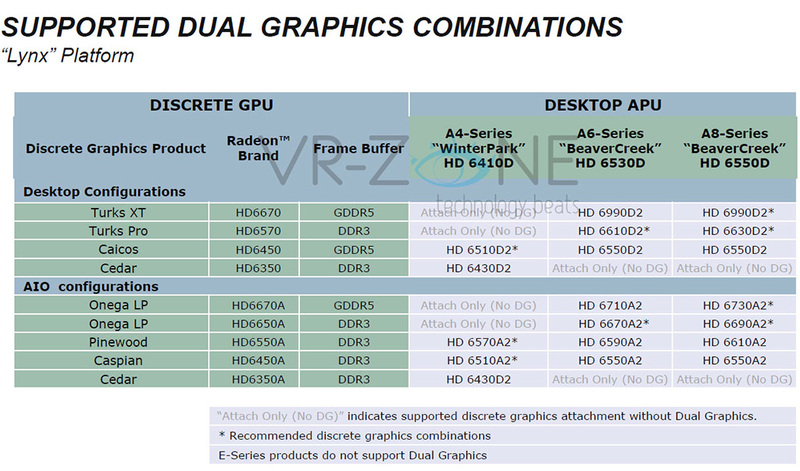 In the discrete graphics sphere, AMD CrossFireX already allows the pairing between two graphics cards that use the same ASIC, even if they're different models (for example, you can pair a Radeon HD 5770 with a HD 5750). The GPU component inside A-Series APUs are essentially similar to lower mid-range discrete GPUs from AMD's current generation, in having 400, 320, or 240 stream processors, giving you the ability to pair them with discrete graphics cards based on Turks (HD 6500 and HD 6600 series) or Caicos (HD 6300 and HD 6400 series). Unlike with Hybrid CrossFireX, AMD gave marketing names to the resulting dual-GPU setup between an APU and a discrete GPU. For example, pairing an A8-3850's APU with a discrete Radeon HD 6670 GDDR5 will give you a configuration "called" Radeon HD 6990D2. We see what you did there, AMD. So the next time you're buying a pre-assembled PC and you see "HD 6990D2" in the specs sheet, and the entire PC is priced under $800, you have no reason to jump through the roof in joy. Refer to the table below for more amazing configuration names. 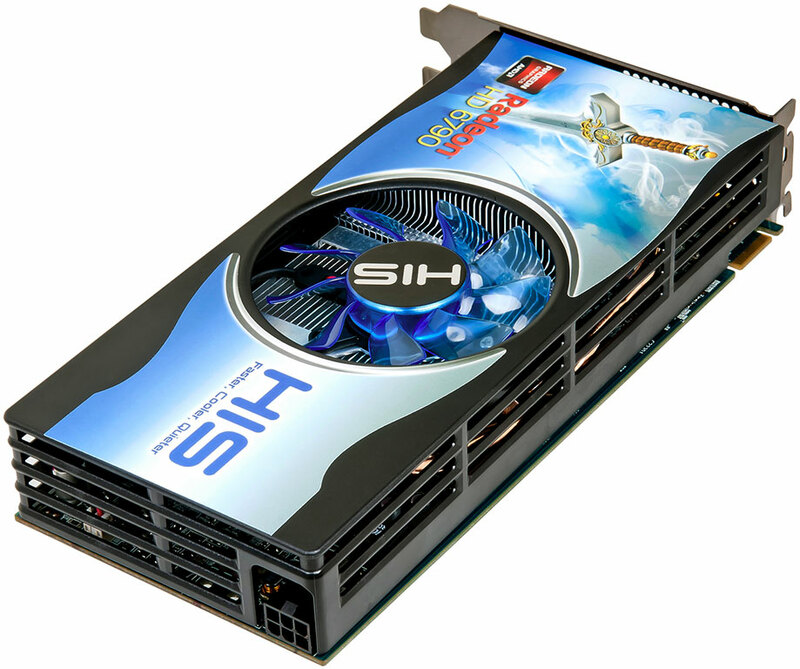 Club 3D B.V. introduces the world first HD 6870 Dual GPU video card. 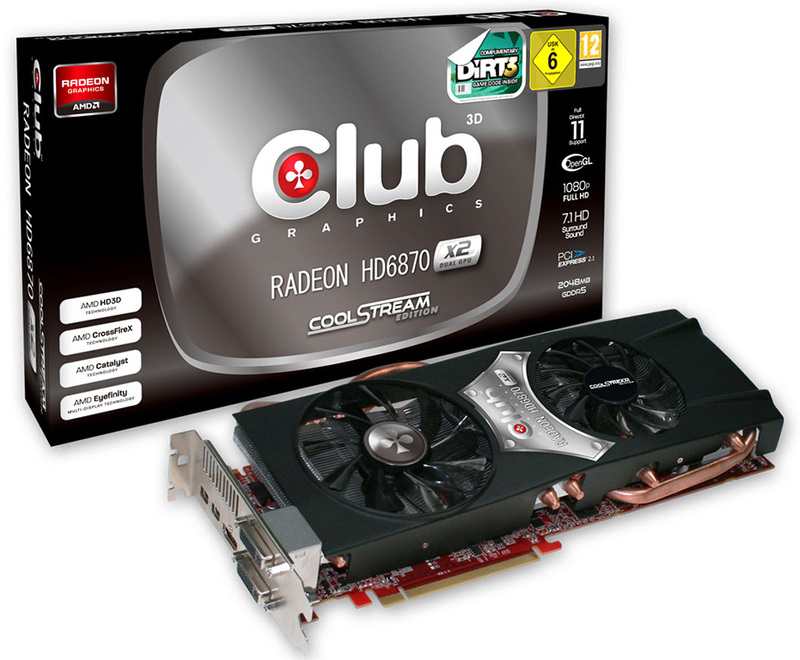 The new Club 3D Radeon HD 6870 X2 2GB GDDR5 is the product that a gamer should look for nowadays. Offering on average 19% better performance in comparison to the best single GPU video card and now even more affordable, there is no other product in the market with a better price-performance ratio. 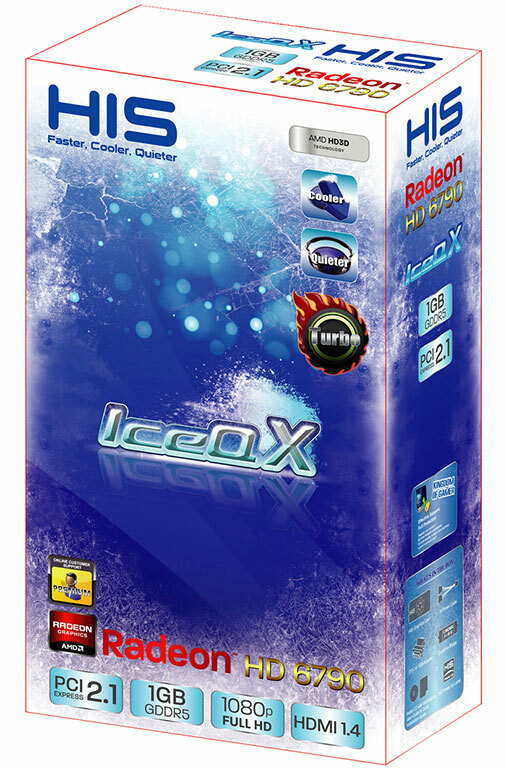 The Club 3D Radeon HD 6870 X2 features the award winning CoolStream thermal solution and is bundled with the latest DirectX 11 Dirt 3. This card will be in the shops worldwide in the first week of July. Recommended enduser price excluding VAT is USD 469. EVGA released a new non-reference design graphics card based on the NVIDIA GeForce GTX 570 (part: 025-P3-1579-AR), boasting of twice the memory amount, at 2560 MB (2.5 GB). The 2.5 GB of GDDR5 memory is installed over a 320-bit wide memory interface, with a memory clock speed of 950 MHz (3.80 GHz effective), providing a memory bandwidth of 152 GB/s. The added memory could improve performance on HD gaming with 120 Hz refresh-rates (for flicker-free stereo 3D). The core is clocked at 732 MHz, with the 480 CUDA cores running at 1464 MHz. 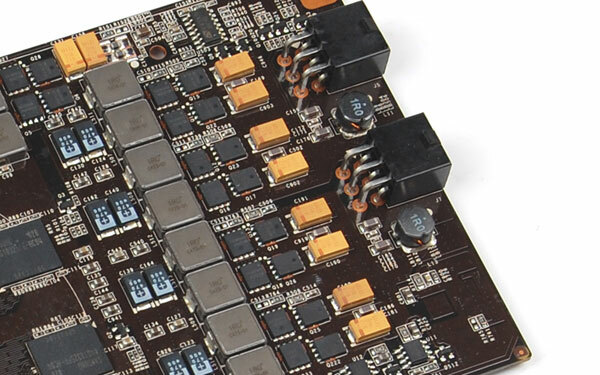 The card uses EVGA's in-house design GF110 PCB, that is shorter than NVIDIA's reference design. 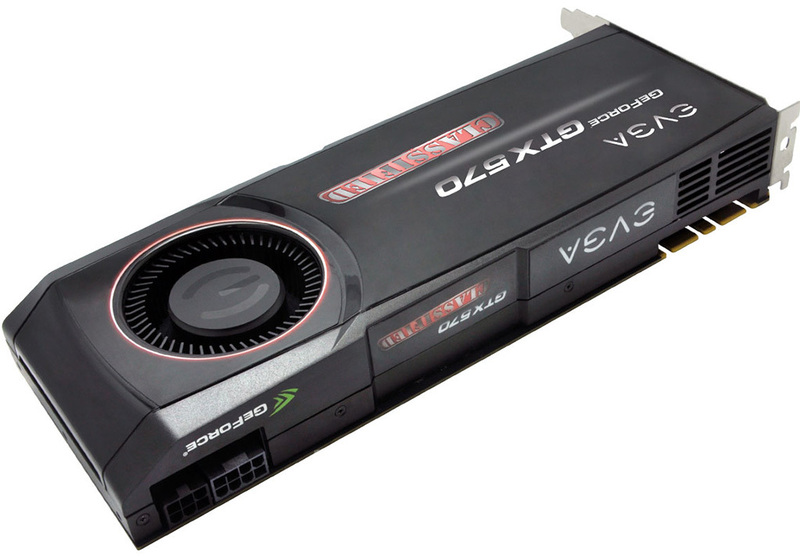 Its cooler resembles that of the GTX 560 Ti, and is designed to be quieter. Display outputs include two DVI, and one each of HDMI 1.4a and DisplayPort. EVGA's GTX 570 HD 2.5 GB is priced at US $399.99 at EVGA's online store. While between the GeForce GTX 580 and Radeon HD 6970, the former is clearly the faster graphics card, the two share a disputed lead over each other in their dual-GPU avatars, GeForce GTX 590 and Radeon HD 6990, attributed to the HD 6990 sustaining clock speeds closer to those on its single-GPU implementation, and a better electrical design. While NVIDIA is fixing the electricals on a revised PCB design scheduled for release in the weeks to come, companies like ASUS are wasting no time in designing their own PCBs that can let the two NVIDIA GF110 GPUs sustain clock speeds identical to those on the single-GPU GTX 580. This would pose serious competition to the HD 6990. To ward that off, PowerColor is working on a new Radeon HD 6970 X2 graphics card, which has two AMD Cayman GPUs clocked on par with single-GPU HD 6970, and having the same overclocking headroom. 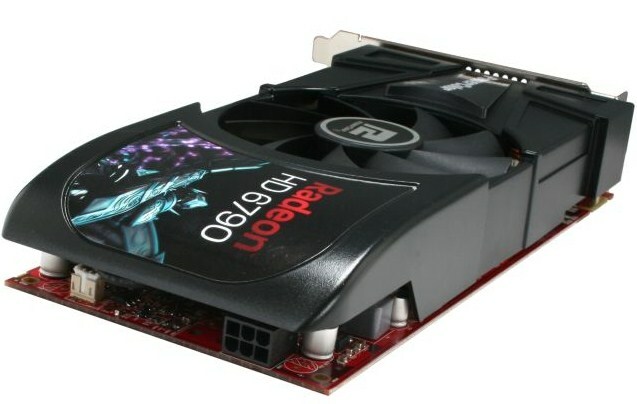 The new card from PowerColor is not just an overclocked HD 6990, but also has the overclocking headroom of the HD 6970. Further, unlike the HD 6990, it uses Lucid Hydra technology. The PLX-made, AMD-branded PCI-Express bridge chip is replaced by a LucidLogix-made bridge chip that gives each GPU PCI-Express 2.0 x16 bandwidth. Users can run the two GPUs in either AMD CrossFire (with Hydra features disabled), or enable Lucid Hydra Engine features, and let the two GPUs work in tandem with any other graphics card installed in the system, that uses GPUs of any make and generation. 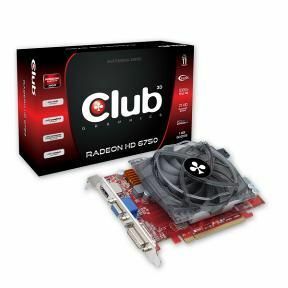 Club 3D B.V. announces the introduction of the Radeon HD 6750 video card based on the Juniper LE chipset, AMD' second generation DirectX 11 cards. 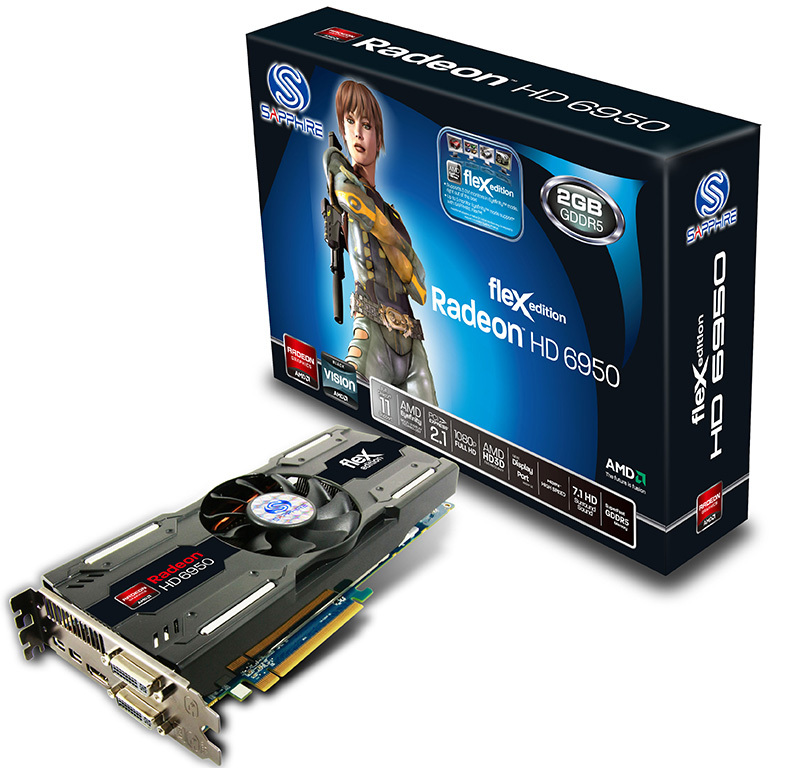 Play the latest games in amazing detail with Club 3D Radeon HD 6750 Graphics. With winning performance, advanced technologies and full second generation DirectX 11 support, you're ready to dominate the competition. Now with AMD APP acceleration you can enable smoother video playback, improve your video image quality and enhance your applications performance. With the latest UVD hardware on board, it considerably reduces the CPU load delivering and decoding stunning Blu-Ray and H.264 content. HDMI has been upgraded to 1.4a for 3D content making it the perfect choice for a HTPC. Over the past few months, HIS 6000 IceQ X Series has granted stunning awards and become one of the Most Wanted graphics cards in the market. So what about its award-winning IceQ Series? 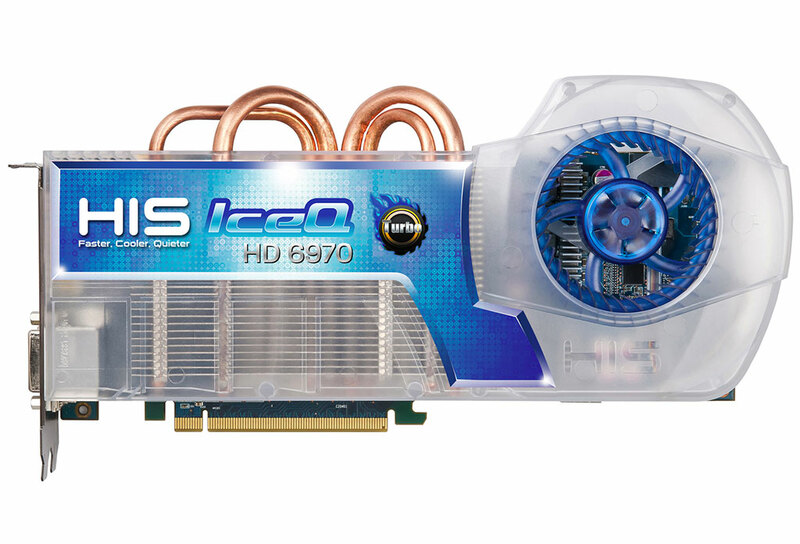 Today HIS unveils its long awaited IceQ series - HIS 6970 IceQ Turbo & Standard 2GB GDDR5. Endorsed by the worldwide media, HIS award-winning IceQ technology is ready to take another step forward. Equipped with Black Hole Impeller and 4 heatpipes, HIS 6970 IceQ Series effectively optimizes cooling performance by dissipating the heat from the core area, thus enabling it for high levels of gaming performance. In addition, it cools down the GPU temperature dramatically compared with the Reference Cooler, allowing you to maximize your over-clocking potential. What's more? The professional fan shroud provides a high efficiency and low noise fan operation. 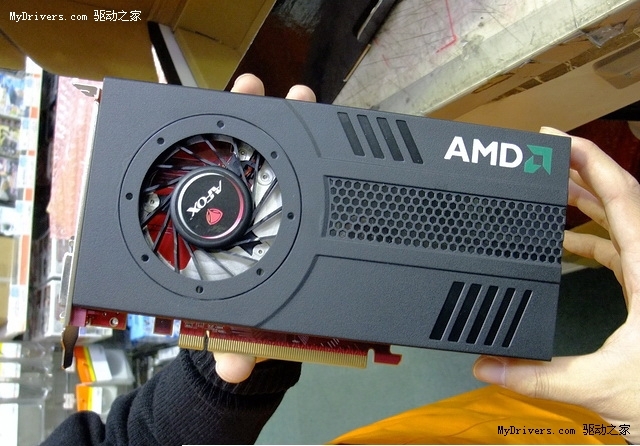 HIS rolled out a new custom-design Radeon HD 6790 graphics card, the HIS HD 6790 Fan. "Fan" editions are known to bring with them airy fan-heatsinks that rely a fair bit on the fan's airflow and the way it's channeled, rather than adding weight to the heatsink. Apart from being custom-design, the card features reference clock speeds of 840 MHz core and 1050 MHz (4200 MHz effective) memory, and is loaded with 1 GB of GDDR5 memory across a 256-bit wide memory interface. 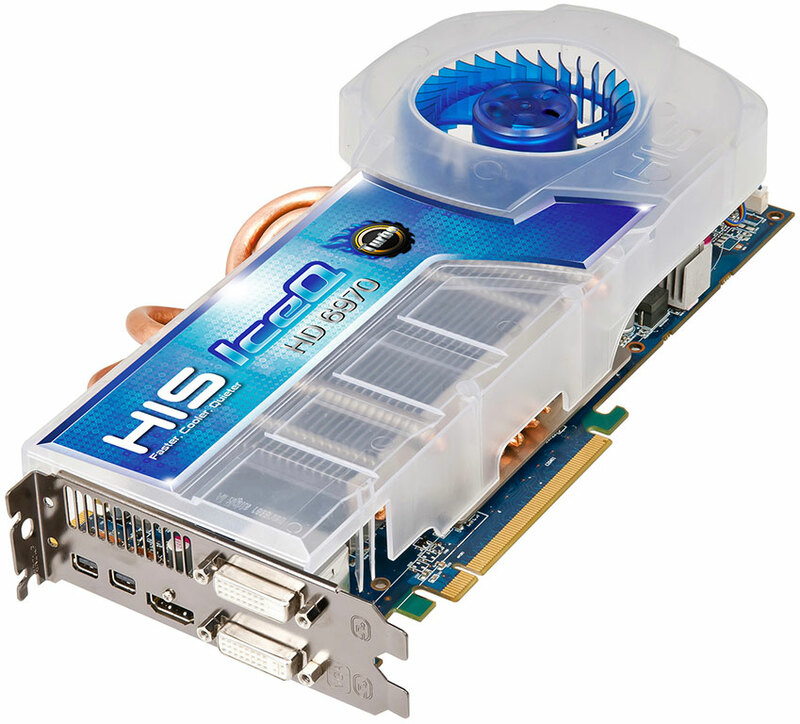 Based on the 40 nm Barts GPU, the HD 6790 has 800 stream processors enabled, along with its full memory bus width. Display outputs on this card include two DVI, and one each of HDMI 1.4a and DisplayPort 1.2 (full-size). Expect standard pricing of US $160. 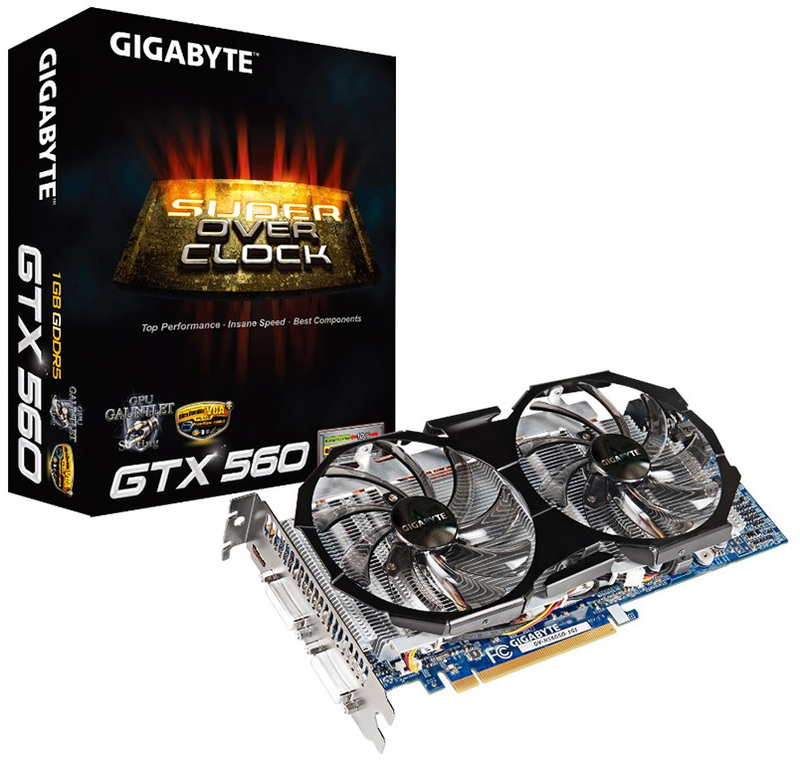 GIGABYTE Technology Co. LTD., a leading manufacturer of motherboards and graphics cards, is pleased to present overclock edition of GeForce GTX 560 graphics card (GV-N56GOC-1GI). 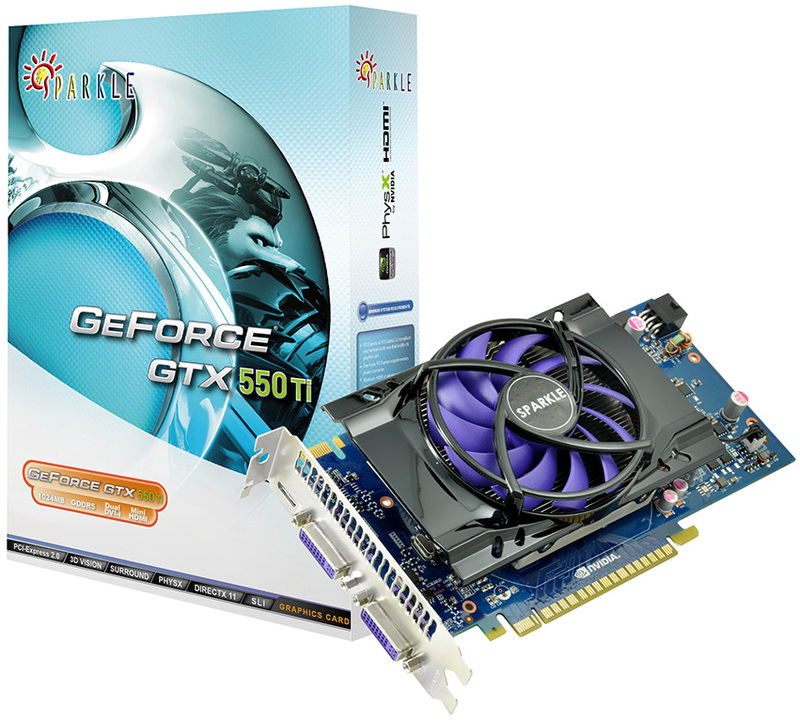 With NVIDIA GeForce GTX 560 GPU and high speed GDDR5 memory, GIGABYTE GTX 560 Overclock Edition delivers outstanding 1080p gaming experience. What's more, it features GIGABYTE's new WINDFORCE 2X thermal solution with king-size 100mm inclined fans and Direct Heat Pipe Touch technology. With these innovative technologies, new WINDFORCE 2X runs at only 31 dB within full loading. 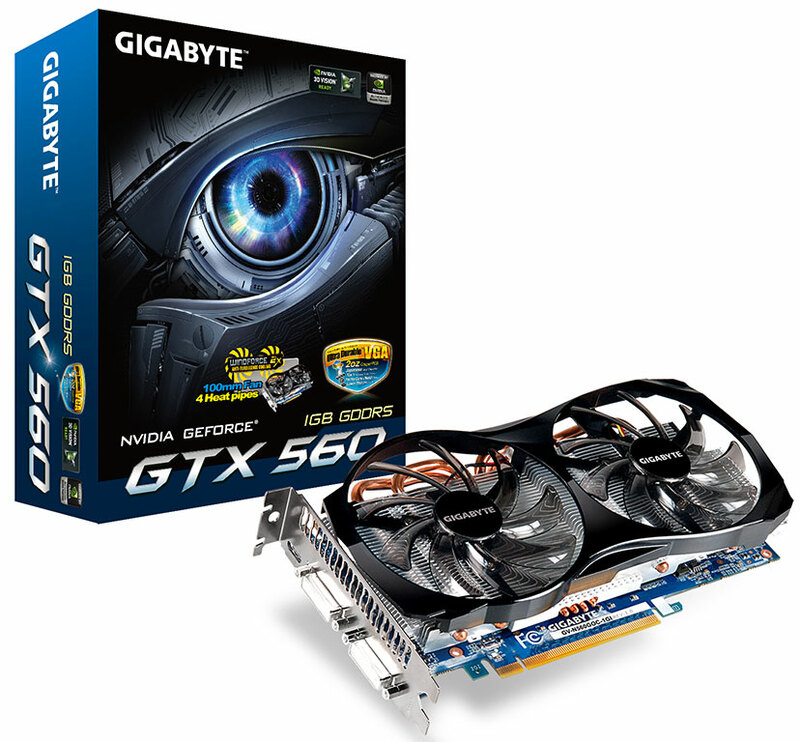 GIGABYTE GTX 560 Overclock Edition also adapts GIGABYTE Ultra Durable VGA materials and guarantees best gaming experience. It also features NVIDIA 3D Vision, 3D Vision Surround, SLI, CUDA, PhysX, and Microsoft DirectX 11 technologies. 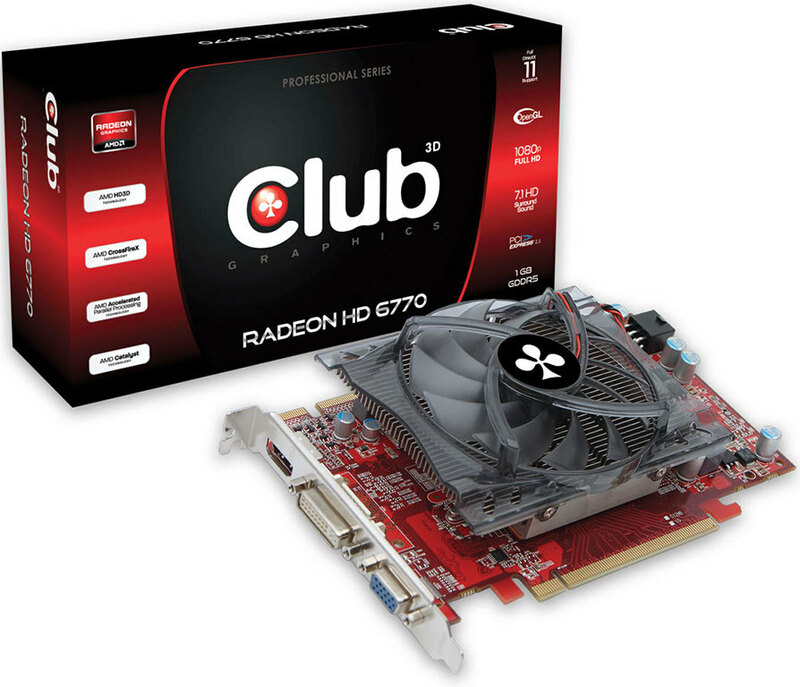 Club 3D B.V. announces the introduction of the Radeon HD 6770 video card based on the Juniper XT chipset, AMD' second generation DirectX 11. 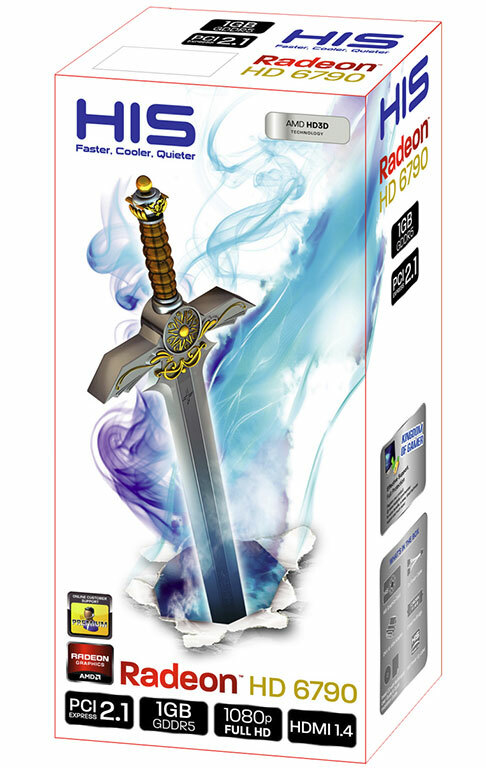 The new Club 3D Radeon HD 6770 1 GB GDDR5 video card replaces the very successful HD 5770, the preferred choice by gamers, adding twice the horsepower (28.8 Gpixel/s vs 13.6 Gpixel/s) and incorporating new technologies already found in the 6K series. 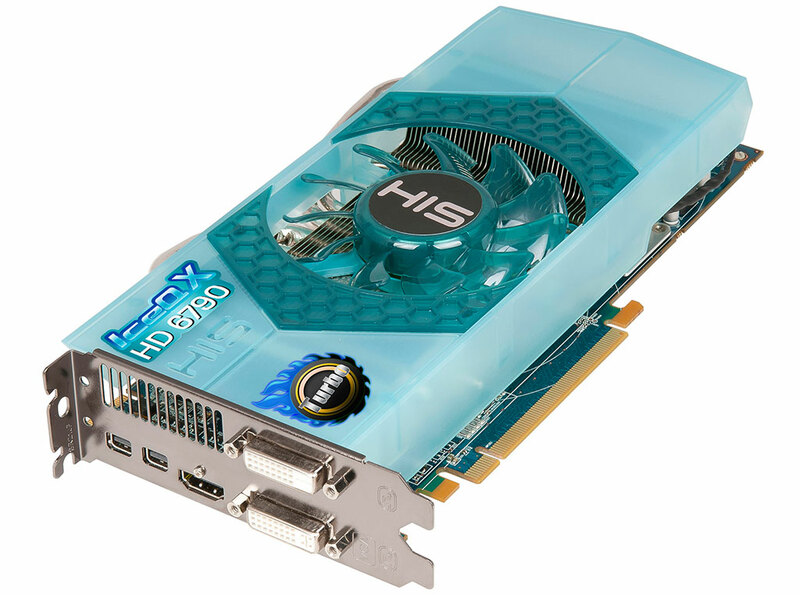 The Radeon HD 6770 delivers stunning HD gaming and computing experience. Supporting HD3D which enables 3D gaming and experience Blu-ray 3D, AMD APP to accelerate everyday applications and multi-monitor displays, it makes a this card the ideal upgrade. Are you still messing around with one of those old-style keyboards? In the heat of battle, do you sometimes find that you left the game, because you accidently hit the Windows "Start" key and by the time you get back, your character is already dead? If so, MSI has heard your cry. It got together with leader in professional gaming equipment manufacturing SteelSeries to forge a keyboard for the serious gamer. Not only is the new keyboard much more durable, the Windows key has been moved to the right side of the keyboard where you're less likely to strike it when the adrenaline's pumping. 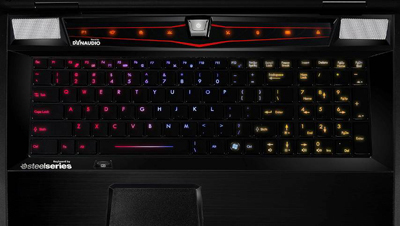 The GX780 also comes with a 30-color LED backlit keyboard with five modes to throttle up your visual experience. Eric Kuo, associate vice president for global sales, MSI Notebook, notes that the GX780 not only sports Intel's second generation Core i7-2630QM quad core CPU and nVidia's DirectX 11-supporting GeForce GT 555M discrete graphics card, it also has four DDR3 slots and accelerated dual hard disk architecture endowing it with impressive computing powers, making it equally suited for the digital content creator as it is for the serious gamer. The GX780 also comes with smart wrap around sound courtesy of Dynaudio and THX TruStudio Pro and a 17.3" full HD high resolution display to guarantee the ultimate multimedia experience. Perhaps the fastest silent graphics card in the making, PowerColor's new HD 6850 SCS3 finally taken shape, and will launch soon. 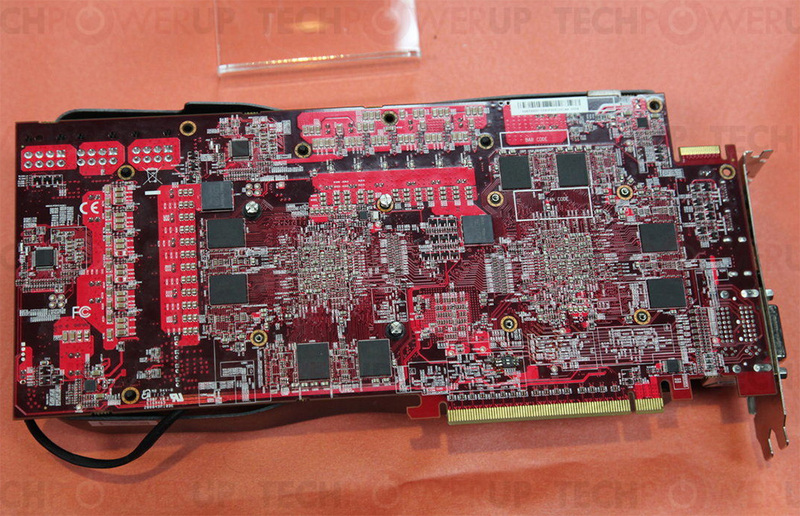 The card was spotted first in November 2010, but has since undergone many little changes, particularly with its PCB and components. The card is designed to draw power from one 6-pin power connector, and run the GPU at reference speeds, while relying entirely on a massive heatsink to cool it. 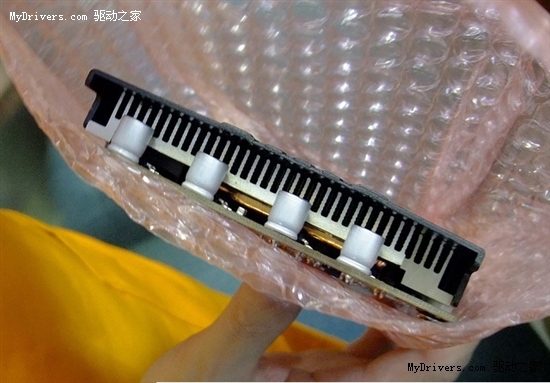 The heatsink uses five copper heat pipes to draw heat directly from the GPU, and through the large aluminum fin array. The HD 6850 features 960 stream processors, and 1 GB of GDDR5 memory over a 256-bit wide memory interface. 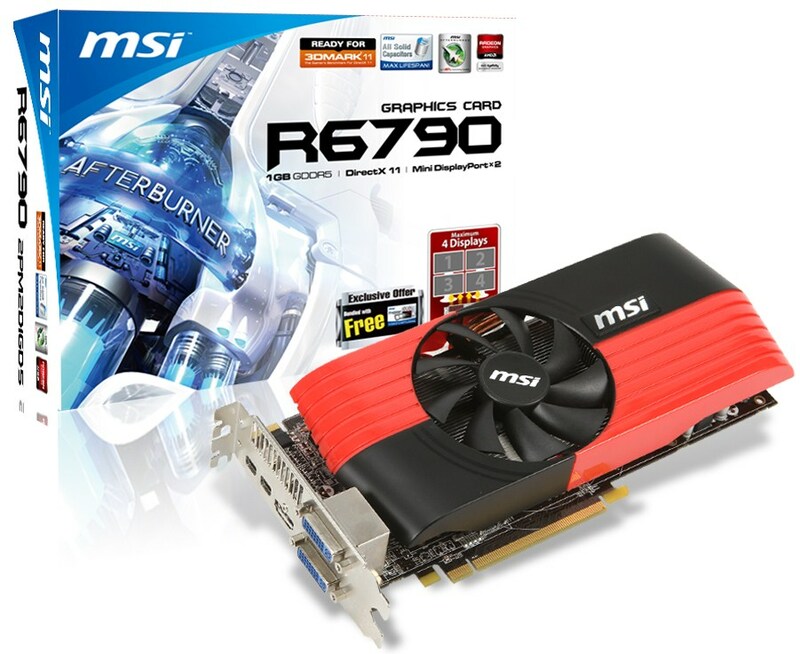 MSI, the world-renowned graphics card and motherboard manufacturer, officially releases the latest R6790-2PM2D1GD5 graphics card based on AMD's next-generation Barts GPU core utilizing the 40 nm manufacturing process and 1GB GDDR5 memory. The R6790-2PM2D1GD5 is equipped with MSI's exclusive Afterburner overclocking software that supports GPU over-voltage, offering up to 25% more overclocking potential! The MSI R6790-2PM2D1GD5 is equipped with stereoscopic 3D capability and has the ability to output video to four displays from a single card via AMD's Eyefinity technology. The heatpipes directly contact the GPU head spreader, and coupled with 9cm PWM fans this exclusive thermal design provides 50% more cooling efficiency when compare to reference design. An All-Solid Capacitor design ensures a long lifespan and stability under extreme operating conditions. TODAY HIS veils HIS 6790 IceQ X 1GB GDDR5, loading with HIS performance-leading cooling technology and silent configuration, the new model designs for our most demanding gamers to experience a truly outstanding performance and spectacular image quality. 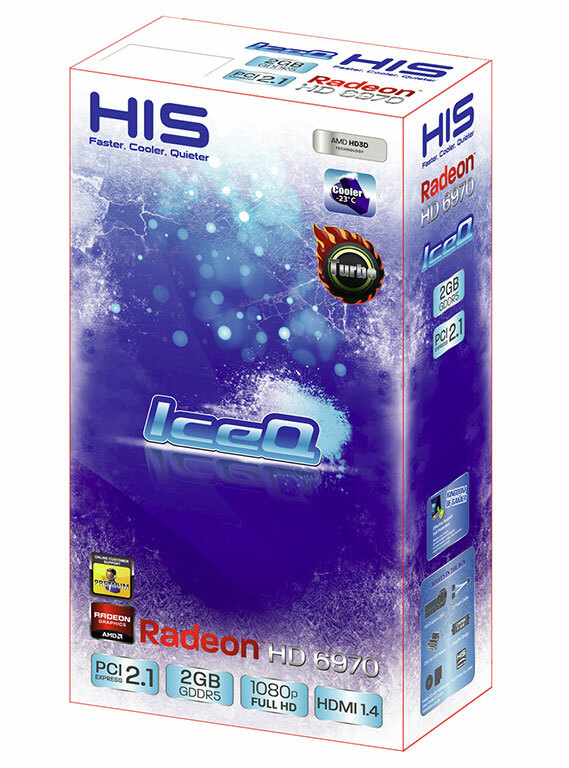 HIS 6790 IceQ X accelerates advanced PC gaming by running at 840MHz core clock and 4,200MHz memory clock. What's more? The new model equips with stunning array of advanced technologies, such as AMD Eyefinity technology, AMD's second-generation of DirectX 11-ready graphics, and AMD EyeSpeed technology. The combined configuration delivers dramatic visual and gaming experience, making it the ultimate solution for performance gamers. 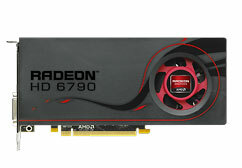 AMD today launched its latest graphics card targeting the US $150 sweet-spot, the Radeon HD 6790. 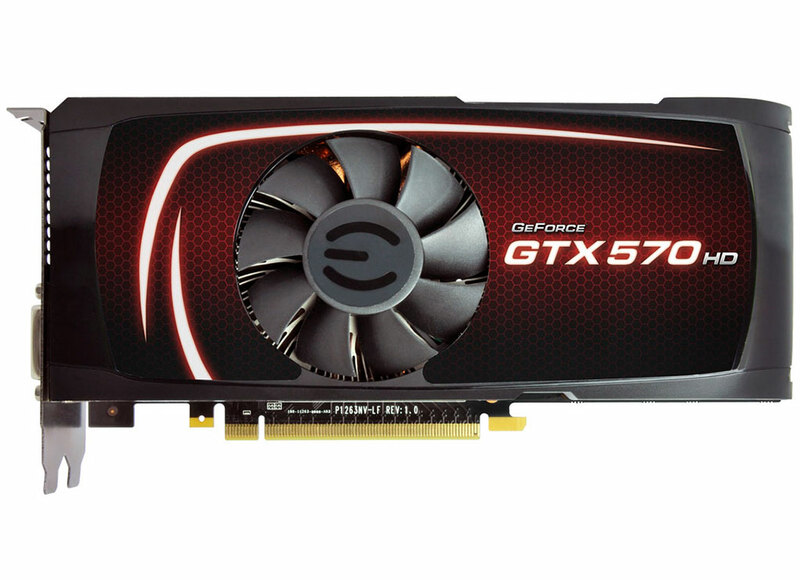 The new GPU is intended to make 1080p gaming accessible to even more gamers. It is based on the 40 nm "Barts" silicon (on which HD 6800 series is also based), and features 800 VLIW5 stream processors, 40 TMUs, 16 ROPs, and a 256-bit wide GDDR5 memory interface holding 1 GB of memory. The core is clocked at 840 MHz, and memory at 1050 MHz (4.20 GHz effective). The AMD Radeon HD 6790 might be rarely available in a reference design, rather, AMD's AIB partners are allowed to come up with their own board designs. The new GPU will be launched by various AIB partners, including Sapphire, HIS, XFX, PowerColor, VisionTek, Club3D, ASUS, Gigabyte, MSI, ColorFire, etc. Target price is US $149.99. 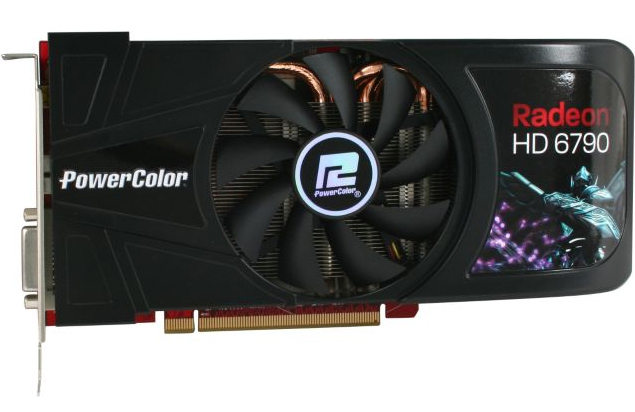 PowerColor seems to be in a hurry to release its Radeon HD 6790 graphics card (model: AX6790 1GBD5-DH), so much so that it's already listed on popular retailer Newegg.com for US $149.99. Powercolor's card sticks to stock frequencies of 840 MHz core, 4.20 GHz memory, and features 1 GB of GDDR5 memory over a 256-bit wide memory interface. The HD 6790 is said to have 800 out of 1120 of stream processors on the 40 nm Barts GPU enabled. 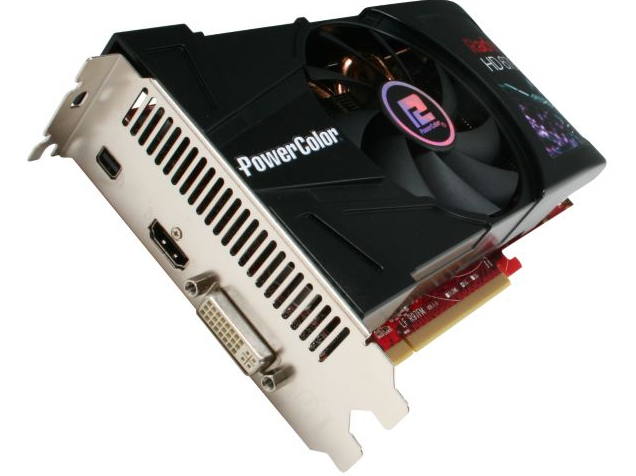 PowerColor's card uses a more cost-effective cooler design than the one found on some of its Radeon HD 6800 series graphics cards. Display outputs include one each of DVI, full-size HDMI 1.4a, and mini DisplayPort 1.2. The card draws power from just one 6-pin PCI-E power connector. The HD 6790 will be officially released later this week on Thursday. A little later next week, AMD will unveil its new upper-mainstream SKU, the Radeon HD 6790. After pictures Sapphire's card, it's MSI's turn. The MSI R6790 looks to be making use of the same non-reference PCB MSI used on other Radeon HD 6800 series graphics card, with a similar single-fan VGA heatsink. 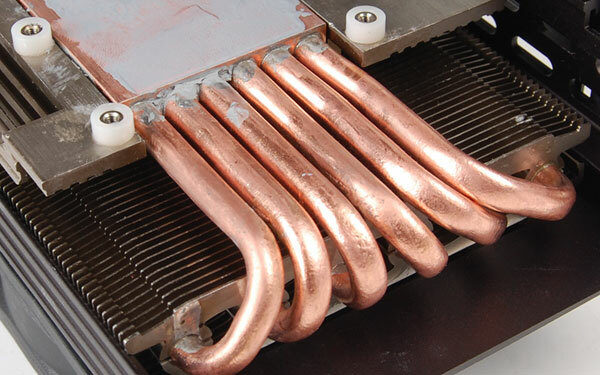 MSI's cooler uses a long aluminum fin array to which heat is fed by three direct-touch copper heat pipes. 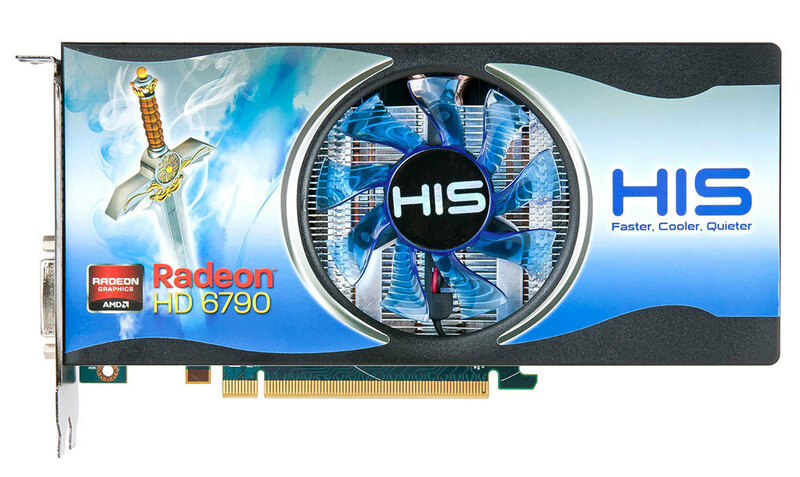 The Radeon HD 6790 is based on the 40 nm Barts GPU, with 800 stream processor enabled, and 1 GB of GDDR5 memory across a 256-bit wide memory interface. Display outputs include two each of DVI and mini-DisplayPort 1.2, and one full-size HDMI 1.4a. World-renowned graphics card and mainboard manufacturer, Micro-Star International (MSI), officially launches the most powerful graphics card - N590GTX-P3D3GD5, adopting dual GeForce GTX 500 GPUs with 1024 CUDA Cores and 3GB/768bits GDDR5 memory. Featuring GPU Overvoltage by Afterburner, it can increase OC potential up to 38%. Through NVIDIA 3DVision Surround technology, users can enjoy the 3D games with 3 displays using one N590GTX-P3D3GD5 graphics card; the best choice for the enthusiast gamers. Clumsy desktop PCs are out and notebooks are in. 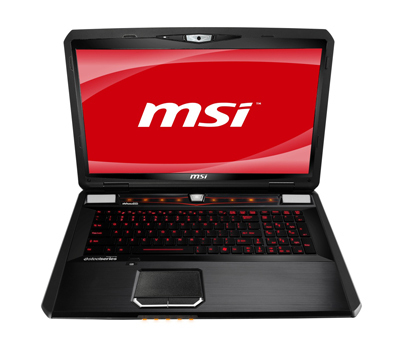 MSI has unveiled the new generation GX680 NB featuring Intel's second generation Core i7 quad core processor, the DirectX 11-supporting nVidia GeForce GT 555M discrete graphics card, four DDR3 memory slots, and accelerated dual hard disk architecture, packing the punch of a desktop PC into a highly portable laptop. 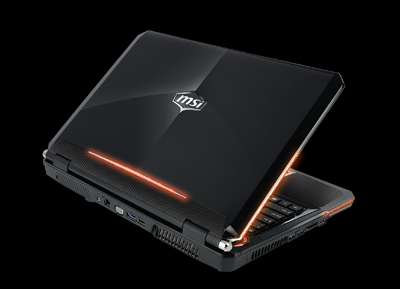 Eric Kuo, associate vice president for global sales, MSI Notebook, notes that the GX680 notebook computer boasts superior performance and the best wrap around sound available. MSI worked closely with Dynaudio to determine ideal speaker locations to obtain obstruction-free sound transmission. What's more, new generation GX680 features cinema-grade THX TruStudio Pro smart wrap around sound, so regardless of the kind of music you play, it's faithfully reproduced. SAPPHIRE Technology has just announced the SAPPHIRE HD 6950 Flex Edition, bringing a new level of gaming performance to the company's unique solution for multi-screen gaming. 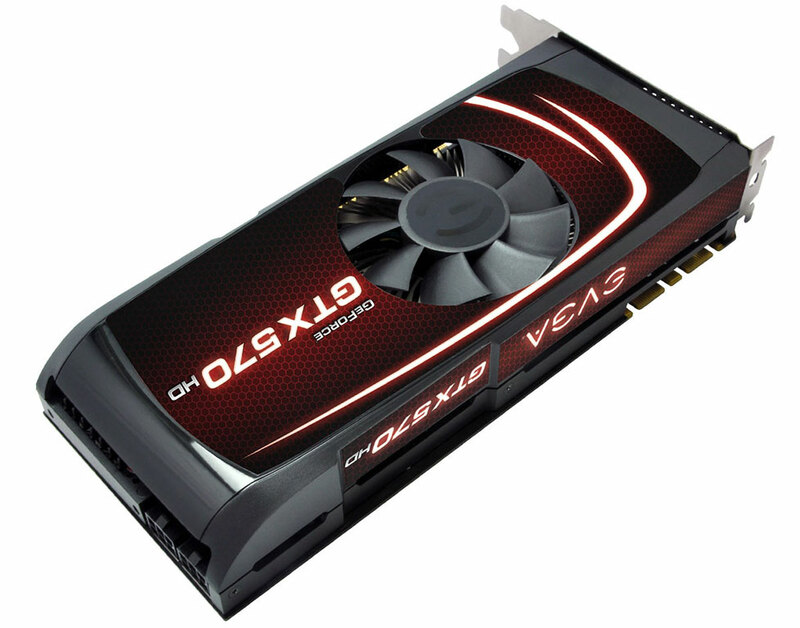 Most graphics cards based on AMD technology require the third monitor in an Eyefinity set-up to be a DisplayPort monitor, or connected with an active DisplayPort Adapter. The SAPPHIRE FleX family can support three DVI monitors in Eyefinity mode and deliver a true SLS (Single Large Surface) work area without the need for costly active adapters. The first two monitors are connected to the two DVI ports and the third to an HDMI to DVI cable (supplied) with no extra hardware required. 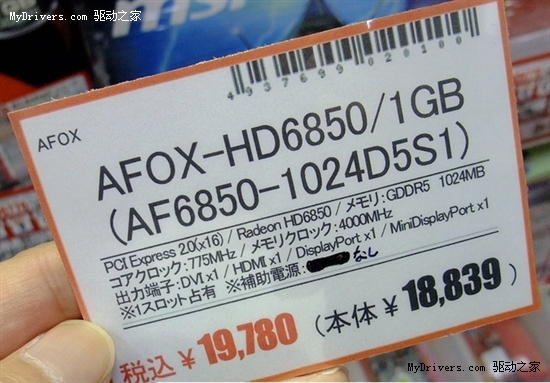 Unknown to the west, Hong Kong-based graphics card manufacturer, AFOX, that caters to Far-East markets such as Japan, unveiled a new AMD Radeon HD 6850 1 GB graphics card that sports a single-slot design, and completely relies on the PCI Express slot for power. 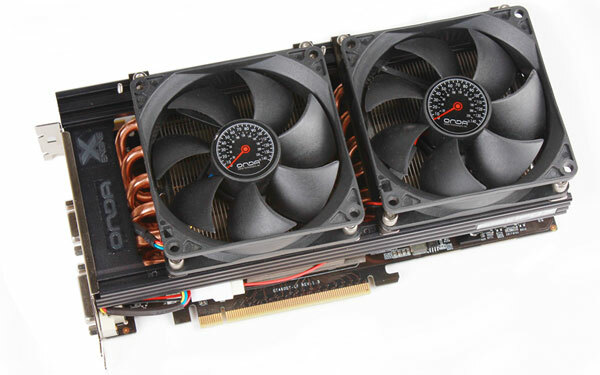 Most, if not all, Radeon HD 6850 graphics cards feature double-slot coolers, and require a 6-pin PCI-E power input, which is not the case with AFOX' new card. The AF6850-1024D5S1 from AFOX features a red PCB, a black single slot cooler that covers all of the board's obverse side, and looks to feature a dense heatsink to which air is circulated by a blower. The card uses reference clock speeds of 775 MHz core, 1000 MHz (4.00 GHz GDDR5 effective) memory. 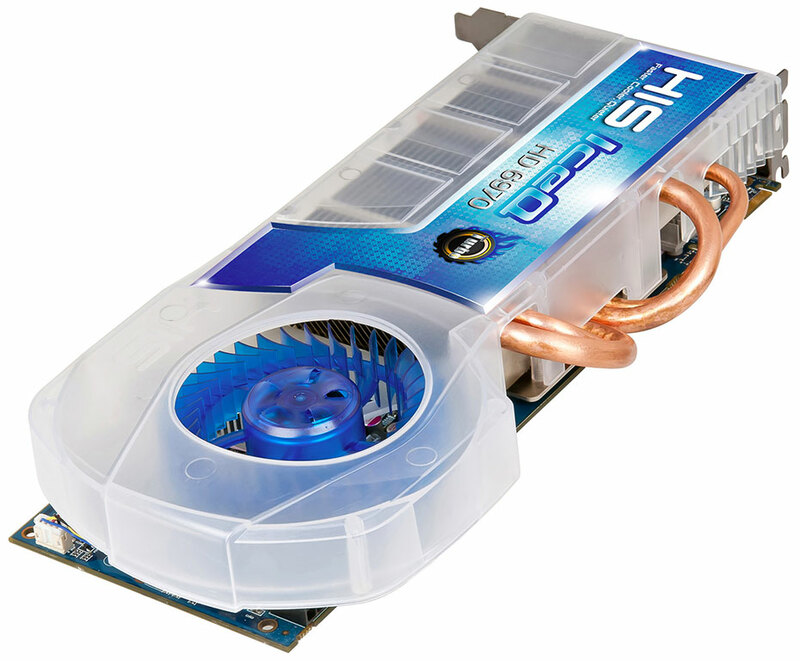 The HD 6850 is rated by AMD to have 127W typical max power draw. It would be interesting to see how the card is managing to run the GPU with the slot's 75W. 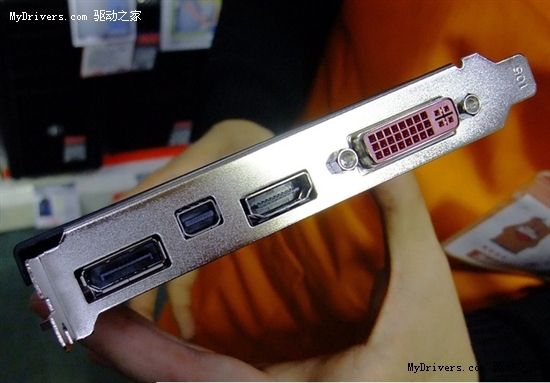 What's more, the card doesn't compromise in the display connectors department, packing one each of DVI, full-size HDMI 1.4a, full-size DisplayPort 1.2, and mini-DisplayPort 1.2. In Japan, the card is priced at 19,780 Yen, which converts to US $245. This just had to happen. NVIDIA wanted GeForce GTX 550 Ti to have higher memory bandwidth, while keeping costs low. So it populated its 192-bit GDDR5 memory interface with mixed density memory modules (that's 4x 1 Gbit, and 2x 2 Gbit) to get 1 GB of standard memory size. Chinese motherboard and graphics card specialist ONDA, which primarily sells in the East Asian markets, decided to populate the 192-bit interface with all 2 Gbit modules. The result is 1536 MB (1.5 GB) of memory. The ONDA X-Engine GTX 550 Ti has a upper-mainstream look to it, with 1536 MB of memory, a high-performance cooler that uses a large 6-heatpipe heatsink, cooled by two 80 mm case fans, 4+2 phase VRM with POSCAP capacitors, and overclocked speeds of 1000 MHz core, 2000 MHz CUDA cores, and 4.40 GHz memory. To support the increased power demand, the card draws power from two 6-pin power connectors. Display outputs look to include one each of DVI, D-Sub, and HDMI. It isn't very likely that ONDA will sell westwards. 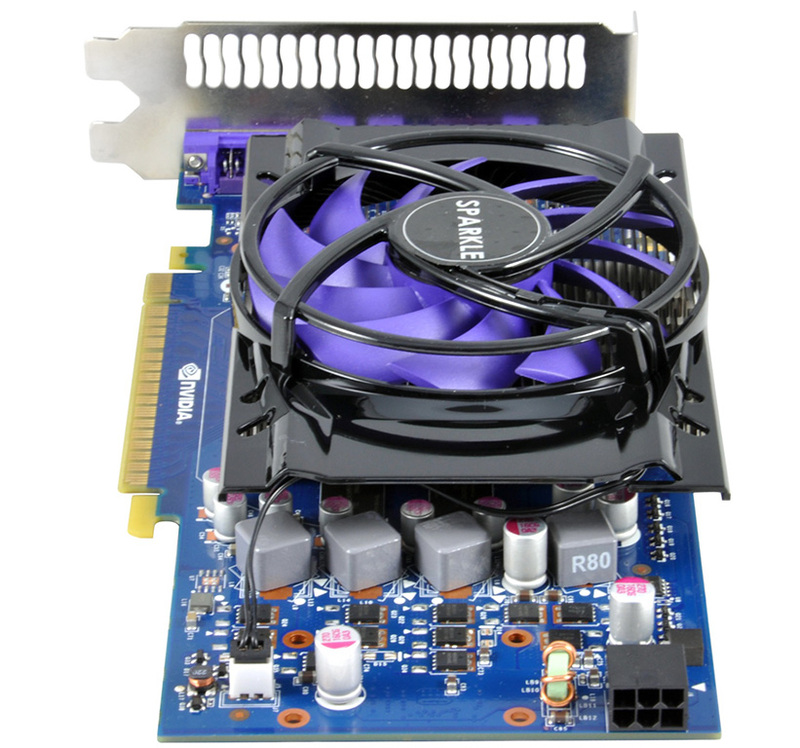 SPARKLE Computer Co., Ltd., the professional VGA card manufacturer and supplier, today presents The SPARKLE GeForce GTX 550 Ti Graphics Card, -- the latest product of SPARKLE GTX 500 Series. It delivers performance upgrade for mainstream DX11 gamers. Using the advanced Fermi 2.0 architecture from NVIDIA, the SPARKLE GeForce GTX 550 Ti Graphics Card upgrades core algorithms such as texture filtering and Z-axis compression over Fermi 1.0 architecture, so that the corresponding instruction operation efficiency is greatly enhanced. 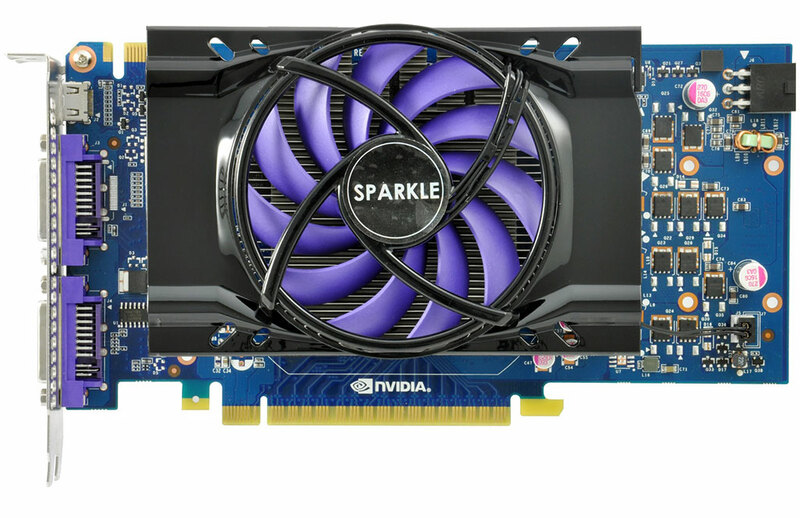 With 40nm manufacturing process improvements, now the SPARKLE GeForce GTX 550 Ti Graphics Card features higher core clock than GeForce GTS 450 graphics cards. 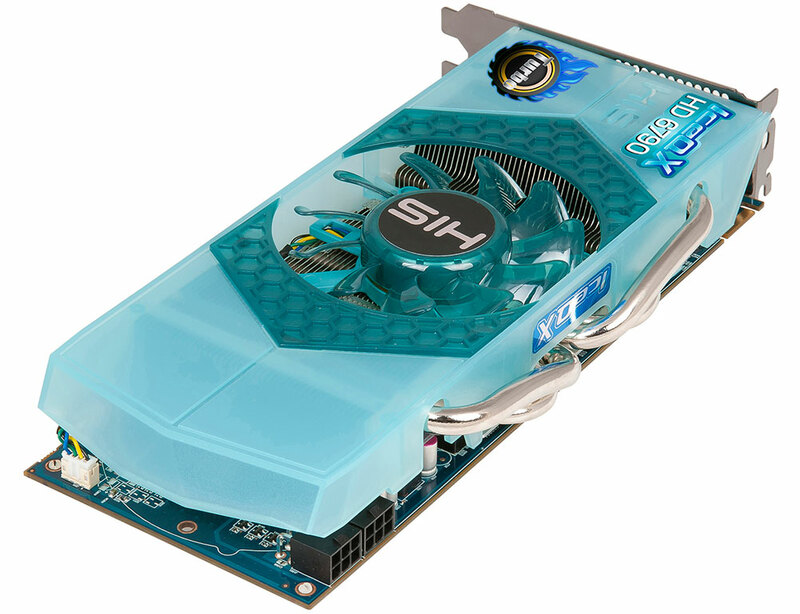 With the two improvements, the Performance/Watt ratio of the SPARKLE GeForce GTX 550 Ti Graphics Card is 20% better over the GeForce GTS 450 graphics cards.